A narrow dirt road with an even grade follows the curve of the waterline. 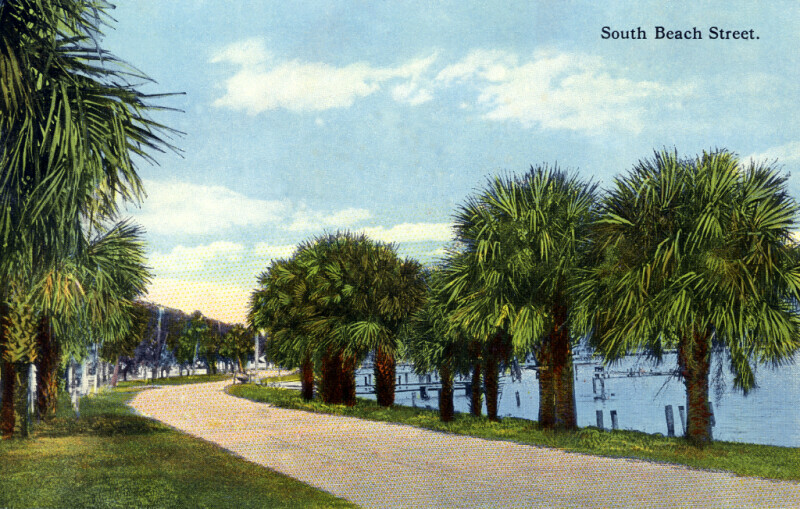 Short sabal palm trees line both sides of the road. Through the palm trees, there are a number of wooden docks, or wooden pilings that remain from docks that have rotted away.